Johan Cruijff Arena: A whole stadium for you, Johan! The Amsterdam Arena has a new name, now dedicated to football player Johan Cruijff, who died on 24th March 2016. To mark this "homecoming", Johan Cruijff Arena wanted to engage supporters and allow them to take an active part in this renaming of the stadium. The event won the BEA World first prize in the Low Budget Event and Media Event categories . Xsaga, the Dutch agency responsible for the event organisation, won third prize of the Best Event Agency, ex aequo with the Spanish beon. Worldwide and British George P. Johnson. The budget was limited and the idea was that information reached as many people as possible and to engage them. Thus, over a weekend, in 14 (Johan Cruijff's jersey number) locations, a podium at the end of a red carpet welcomed fans to pay homage to the player and to press a huge red button, helping in the renaming of the stadium. More than four thousand people pressed the red button, many with emotional testimonials and tributes. 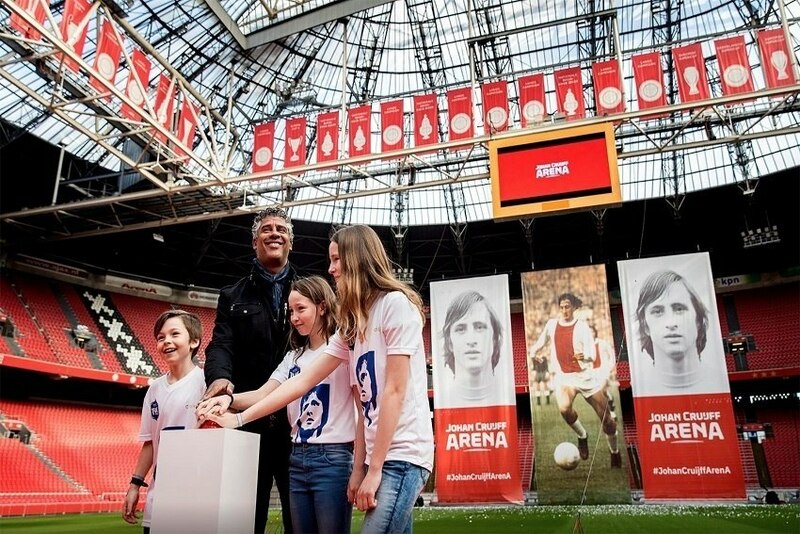 In the end, former footballer Frank Rijkaard also pressed the button, in the renamed stadium: Johan Cruijff Arena. BEA World Awards: Low Budget Event, Media Event and 3rd Best Event Agency (Xsaga, from the Netherlands, ex aequo with beon. Worldwide from Spain, and with George P. Johnson from the UK).